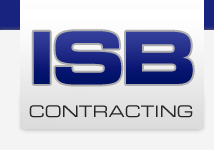 ISB Contracting is owned and run by brothers Michael and Steve Bailey. ISB operates across a variety of markets since it’s initial inception in 2003. In order to deliver the government driven ‘Decent Homes’ programme, which was a huge source of business until the financial problems started back in 2009. In more recent years ISB Contracting has completed work within the new build sector, both domestic and commercial, and has particularly enjoyed working with local companies such as Shropshire Homes and J. Harper & Sons. In June this year (2012) ISB Contracting is proud to have achieved ISO9001 accreditation, and can say with confidence that the quality measures we put in place are reflected on the sites that we attend. All of their time served operatives holds the necessary CPCS and CSCS accreditation to work effectively and safely in line with whatever your requirements are. ISB hold’s the NRSWA qualifications to allow them to work on the highways network and can produce roads and footpaths that will be of an adoptable standard. 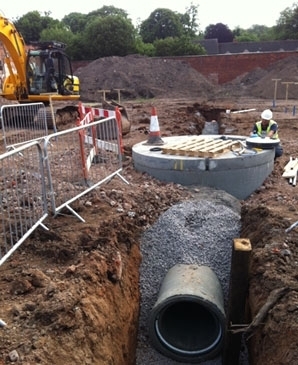 Their web-site has a small overview of some the works that ISB has undertaken, and attempts to give you an understanding of what they can provide for your groundwork requirements.ISB still continue to deliver excellent value for money for their own domestic clients providing services such as new driveways, extensions, drainage works and landscaping projects. For a more in depth look at ISB, or if you require any advice please drop us an enquiry or pick up the phone and we will be only too happy to help. Congratulations to Josh Taylor on his recent success in the Construction Trainee of the year awards at the National Construction College.